Honeybadger has integrated tightly with GitHub since we started, allowing you to jump directly to the bug in your source code and automatically managing issues for errors. Today I'm happy to announce that we're bringing all the features our GitHub users know and love to Bitbucket -- because, let's face it: Bitbucket doesn't get enough love. 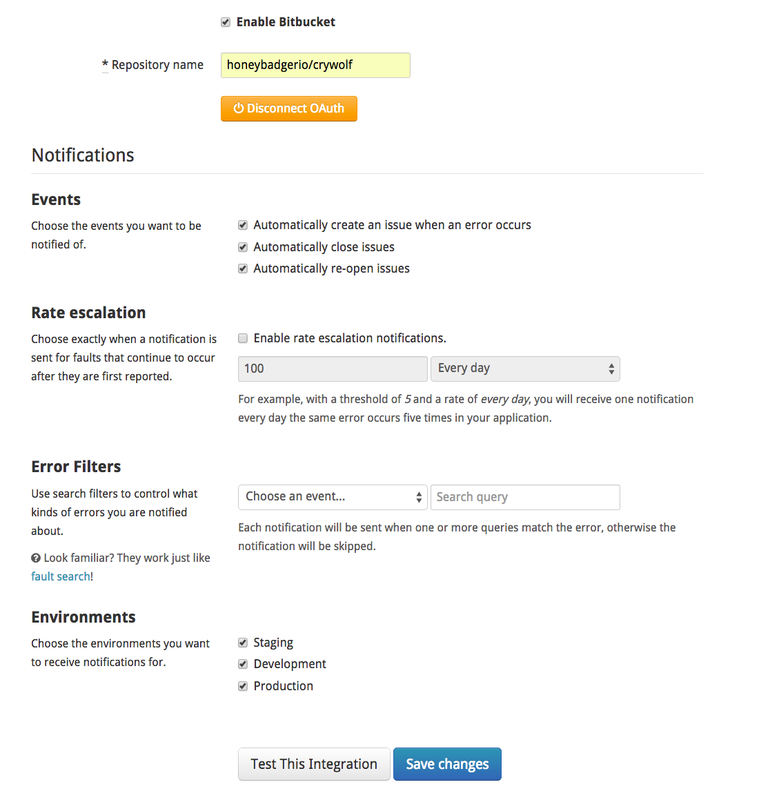 Add the Bitbucket integration from your project settings page. Files are linked directly to Bitbucket from the backtrace.